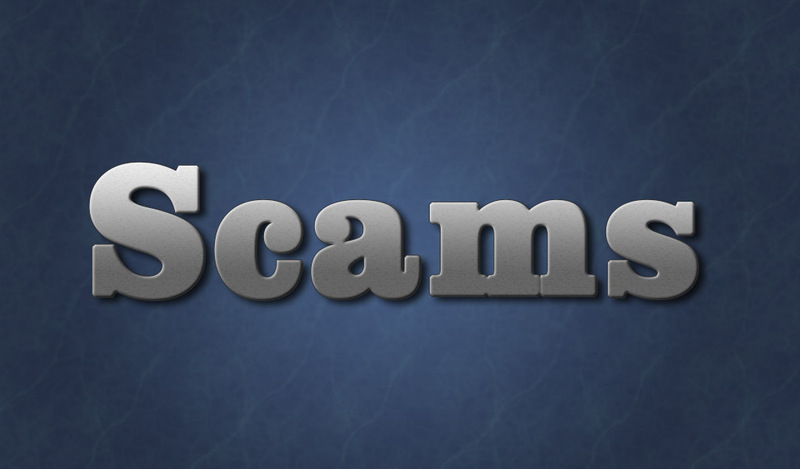 A recent report from the U.S. Federal Trade Commission (FTC) sheds light on the growing problem of scams in Tennessee. Tennessee has the 10th highest rate per capita for reports of fraud with losses totaling over $13.7 million last year for Tennessee consumers. Make sure you have strong phrase passwords, not word password. Do not store your passwords in the browser or on a public computer. Never give personal or financial information to a person unless you initiated contact and know why the information is needed. If you get an email or phone offer, hang up and call the business directly at a number that you independently verify. Never pay a fee for a “free” grant. A real government agency won’t ask you to pay fees for a grant that you have already been awarded. You can check information for all federal grant-making agencies at http://www.grants.gov/. Do not give an unsolicited caller access to your computer and do not call a number that pops up on your screen in a warning about a computer problem. If you’re concerned about your computer, call your security software company directly – but don’t use the phone number in the pop-up or on caller ID. Instead, look for the company’s contact information online, or on a software package or your receipt. ID “spoofing” deceives consumers into unwittingly answering a phone call that they might not normally answer. Criminals using Caller ID cloaking technology can mask their real phone numbers, causing a consumer’s own phone number (or the phone number of a loved one) to appear on your phone’s Caller ID. When an unsuspecting consumer answers the phone, the scammers will then attempt to defraud consumers with a host of schemes (card services scams, medical alert device scams, among others) all designed to cheat consumers. Don’t answer the phone if your number appears on your phone’s Caller ID. If you do answer the call, do not give out your personal or financial information. Hang up. Scammers may use threatening emails to try to gain access to your personal and financial information. A recent scam trend involves scammers sending emails claiming to have video of the email’s recipients watching pornographic content that will be released unless they’re given money. If you receive an email with this theme, delete it immediately and do not click on any links. Look out for spoofed emails. Just like scammers can spoof phone numbers, phishing scammers can spoof an email to make it appear as if it’s coming from a familiar or trusted source. Some of these emails are sophisticated enough to improperly use the business logo to make their scam appear legitimate. Be suspicious if an email claiming to be from a business, government agency, or organization asks you to click on a link that then asks for your username or password or other personal data. Ask questions. Does it make sense for your bank to need this information? Does this account ever ask for a credit card number to sign in? Do links on the rest of the webpage go to different pages or lead you back to the same page? If you can’t tell if the email is legitimate, call the company’s customer service number found on their website, not the one linked to in the email. The IRS will not initiate contact with consumers through email. They will initially reach out through postal mail. Don’t open any attachments or click on any links that are emailed to you claiming to be from the IRS. Those emails may have malicious code that will infect your computer. Forward IRS imposter emails to phishing@irs.gov and then delete it. Complete your research before sharing a post on social media for a free giveaway or purchasing a usually high-priced item for a steeply-discounted price. Verify that the page or site is legitimate by checking that it is verified by the social media site and has a lengthy post history. If you find that the giveaway or page is likely a scam, report them to the social media site. If a social media site links you to a webpage for purchase, make sure the page is secure. A padlock will be displayed next to the website URL or the website will lead with ‘https’ rather than just ‘http’. Research who you’re doing business with using tools like Google or Bing. Look at previous customer or client reviews to see if anyone has reported having issues with the company.